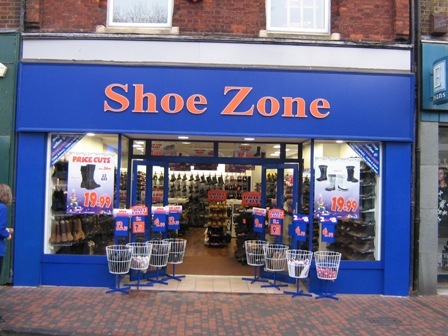 I only popped in for insoles which I regularly buy in your store and the staff are usually very polite and helpful. Not today however. I could not find my size right away so I had to get on my knees and pull the different sizes off the pegs to sort through to get my size. Whilst I was doing this the other sizes kept falling off the other pegs so I put them all back. I work in retail so I had no problem putting them back. However they kept falling off and the sales assistant was no more than 3 feet away from me behind the till and took absolutely no notice of my problem despite the fact it took ages to sort through them all on my knees and I'm not exactly young! I struggled back up after sorting through them and finding them. I was bright red and not more than couple feet from her. I thought she would at least make a comment but nothing. And to top it all she took my money and did not even say Thankyou. I really wAs gob smacked. I don't usually complain as I have already said I work in retail but I could hardly believe the lack of customer service . And not even a thanks. !